Do you swear to tell the truth, the whole truth, and nothing but the truth? 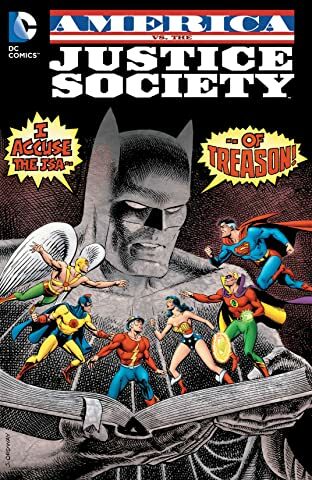 Years after his death, Batman’s diary is made public only to excuse his old teammates, the Justice Society of America, of being Nazi collaborators with Hitler himself. Not wanting to fight their own country, the Justice Society surrender themselves to the law and now stand trial for crimes they did not commit. Who is the mastermind behind framing the World’s Greatest Superheroes? And why would they tarnish their pillars of society? 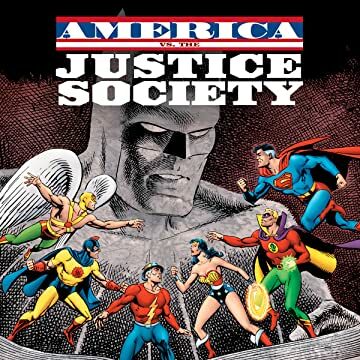 Written by the legendary Roy Thomas with illustrations by an all-star team of Jerry Ordway, Rafael Kayanan, and others, this classic tale collects AMERICA VS. THE JUSTICE SOCIETY #1-4.